As the 2018 hockey season fast approaches, many of you have been patiently waiting, while speculating on rumors as to what the 2018-2019 season holds for your players and the association. 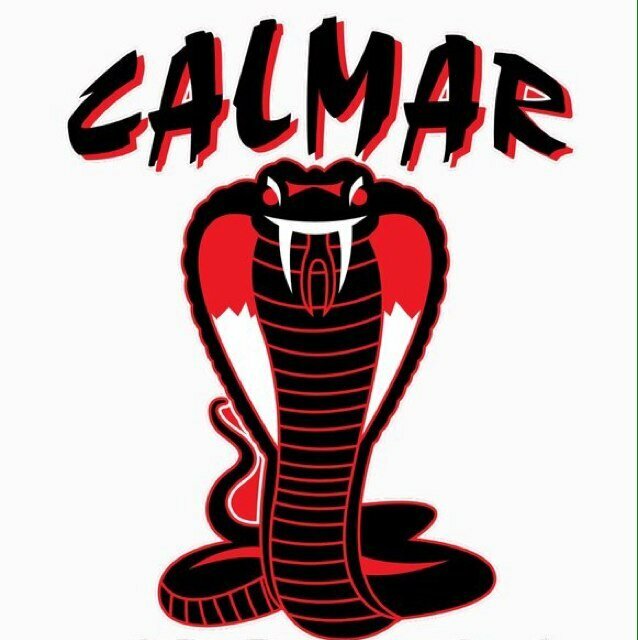 It is with pleasure that I can say the board of Calmar Minor Hockey is very motivated and working diligently to ensure that all our children have a hockey team to play on, and that we can advance player and coach development. Hockey Canada and Hockey Alberta have initiated a significant change to the novice program that takes effect over the next two seasons. This change has been communicated through our website and addressed at our AGM. CMHA does not have to commit to the new format this year. However, we feel that for player development, it is best to adopt the new program this season. Helping to ensure that next season all players at the novice level will have no transition issues and are familiar with the new novice program. Most communities are implementing the new format for the 2018-2019 season. Northern Alberta Interlock, our hockey league, is not supporting league play for Novice Minor teams. However, they will have league play for Novice major teams, leaving myself and others the feeling that the Novice division will consist of strong teams (mostly second-year novice players). While we feel our player numbers are healthy, the coming season leaves us in an awkward position. Staring with the novice division, we can form one team, but with the competition that will be in the league and the changes coming from Hockey Alberta, a tough decision must be made. The Atom division, with 20 players, is also a problematic number at that age group, and at the more senior levels, we do not have the numbers to support teams. Over the last five years, there has been an undocumented but spoken relationship with Thorsby Minor Hockey. Our PeeWee, Bantam, and Midget levels have partaken in an association to association player release program. This program has been used to keep local minor hockey sustainable. CMHA and TMHA now feel that a more official program should be implemented and adopted. The two associations have agreed to expand the player share program to all levels of minor hockey. Ensuring that kids of all skill levels can participate and play on teams that match their skill level, while trying to ensure that there is a team for every age level in the region. The details are still being worked out, but the more critical framework is in place. Each association will host teams; player fees and fundraising will be that of the association hosting the teams. Tryouts will take place for divisions that have the numbers to support it. We are attempting to schedule so teams will play out of both facilities throughout the season, ensuring that the mixed teams have equal opportunity to play out of their home rink at critical points throughout the season. This opportunity doesn't address the more significant issue of player retention. However, this is allowing greater flexibility for players, coaches and team creation because we’ll have a broader player base. We will be in a position to enhance the player development programs, coaching education, and offer higher value to our associations' families. It will not be easy, and there is much to work out; however, the opportunity is worth it especially because of the long-term possibilities. To be clear, and to reaffirm, this solution is short-term. A longer-term solution is to be discussed and planned over the next season, and possibly a more extended time frame. We will be investigating what other associations have done in the past, including what our league has done in the transition from 16/60 to Northern Alberta Interlock. We understand that this decision will come with many emotions, positive and negative. It was made after much deliberation and with the realization that it was the only sustainable option for local minor hockey this season to achieve the most significant player development. I want to reaffirm that this is not a permanent solution and is a trial run. We have prepared a Q&A session made available below; we are also available to answer questions. Please direct all question to Matt Sargent president@calmarminorhockey.com. We sincerely appreciate your time, and look forward to a very successful hockey season. A: Over the past eight weeks, the boards and committees of CMHA and surrounding municipalities have been in discussions on different ways to work together to provide more and better opportunities to hockey players in our region. Q: Why do we want to establish player share programs and other long-term options? A: Our Board and Coaching leadership strongly believe this is what’s best for all our hockey players. We can solve many challenges that currently exist. We can ensure multiple teams at levels providing opportunities for all our players. We can pool our coaching and officiating resources. Offer more outside skills development and instruction. A: There are many. Large organizations can have a place for every player, regardless of development level. Allowing greater flexibility for players, coaches and team creation because we’ll have a broader player base. We will be in a position to enhance the player development programs, coaching education, and offer higher value to our associations' families. Q: How will this affect my player/team? A: The Novice and Atom age groups will be the most affected by the new program. Novice and Atom could see the formation of three or more teams. Try-outs will be held in each age group. All players within an age group will try out together. Teams will be formed based on ability. Once your child has been offered a position on a team, he/she (based on known information like team travel demands, dedication level, coach, training location), will be able to accept or decline the position. If the player chooses to decline, the player will be offered on the next team in line. Q: What are the cons of the proposed player share program? A: We don’t see any hockey related cons to the program. Understanding that this program is only to benefit the kids involved with minor hockey, everyone currently playing for all associations will be able to play on a more balanced and appropriately skilled team, ensuring that all games and practices allow for greater skill development and more fun! While we cannot foresee how many kids will show up to tryouts in any given age group, we hope to be able to form multiple teams. If you are only concerned about your child’s place on a specific team or believe you/your child will be negatively impacted by not being able to say he/she plays on a particular team, your family may be adversely affected by this program. Q: Why didn’t board members let association members know what was going on until they had already made a decision? A: The Decision was determined under the prefix that some outside intervention or a complete player release would have to take place at multiple age groups. It is our job to do what is best for the association and players as a whole. Not an individual family. Q: How will you assign coaches? What factors will you use to determine who coaches where? A: We look at coaching credentials, playing experience, communication, player and parent management, ethics, sportsmanship, and their ability to work with other coaches. All coaches will undergo a thorough background check and have references checked. The current presidents will work closely to place coaches where they feel in the best interest of the players and the coaches. Q: How many players will be on a team? A: The goal is to have 13-15 for Atom, Novice Major, and Peewee while 15-17 for Bantam and Midget. Q: If I have children on multiple teams, how does this benefit us? A: All your children will benefit from the pooled resources of both associations. Having multiple children playing hockey already has its challenges. We believe the benefits of the program will outweigh the negatives. There will be additional training sessions run by paid coaches. Your kids will be part of a hockey environment where everyone in our region is working together rather than what goes on now. Q: Does this mean I will have to drive further to get to the rink? A: Possibly. The teams will be hosted in both communities. However, it will be a team decision working through the team manager and associations ice coordinators. Q: What is the competitive reason for the proposed merger? A: We’re not proposing the merger because we’ve focused on competition. We’re focused on providing opportunities for our players (better development conditions). A: We feel that this season is a great time to start this program with the changes that Hockey Canada and Hockey Alberta have adopted at the Novice age group. The senior teams have already been experiencing a player share program over the last couple years, and we feel that it is time to acknowledge the program and help establish a stronger support structure for our players.